In the past, doubts have clouded the viability of investing in cryptocurrencies. Recent news in the market, however, has changed the way investors regard these modern currencies. 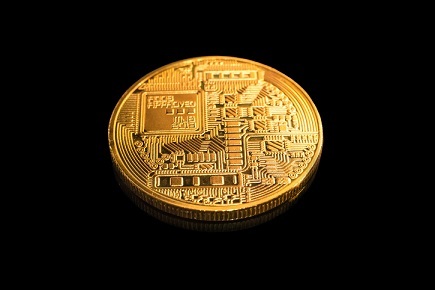 For instance, the Financial Post reported that whilst the price of bitcoin has been on a rollercoaster during its volatile history, those who may have held a $1,000 worth of the said currency five years ago and sold it could amass about $374,000 today. Another testament to the growth potential of cryptocurrency is the unknown trader who, according to Bloomberg, managed to turn a US$55 million investment in ether currency into US$283 million over the course of a month. But as they say, high rewards often equal to higher risks. A Smith + Crown researcher named Sid Kalla told the Financial Post that investing in cryptocurrencies is not for the faint of heart as the market for these currencies are often volatile. A good case in point is what happened to bitcoin over the weekend from 7 September to 11 September. The publication reported that it has lost eight percent of its value amidst the announcement of the Chinese government of the plans to shut down cryptocurrency exchanges. “You have to ask yourself, what is the reason for investing? If the reason is, ‘I think Ethereum is going to go up in price 20% by the end of this month,’ then I would say don’t buy it,” Kalla told the publication. Meanwhile, for those who are lucky enough to get their share of high rewards, it should be noted that they are obliged to pay their dues. Canadian Imperial Bank of Commerce managing director of tax and estate planning Jamie Golombek said in an interview with the Financial Post that the anonymous nature of cryptocurrency trading may sound the alarm for the Canada Revenue Agency (CRA), especially if it starts probing investors on how they got the money. “If someone tries to convert a substantial amount of bitcoin into real currency — like Canadian dollars — presumably there will be a record of that and the CRA may ask where that money came from. Not reporting it is tax evasion and it’s illegal,” he said.